I bumped into Christian Seely, Managing Director of Quinta do Noval, last month and enquired about 2015 – would Noval declare? As I’d expected his answer was in the affirmative. He told me he’d just been writing a press release on the phone, salient parts quoted below. We chatted about the traditional no back-to-back vintages rule of thumb and the fact 2015 is not being generally declared. Seeley shared his view that, if the quality is there, the only question is how much to declare (Noval has also been declared in the rather more controversial years of 2012, 2013 and 2014). As you can see from my earlier reports of the 2012, 2013 & 2014 and the press release below, rather more Vintage Port was declared in 2015 than in the previous years. “I am delighted to announce the declaration of the Quinta do Noval 2015 Vintage Port. 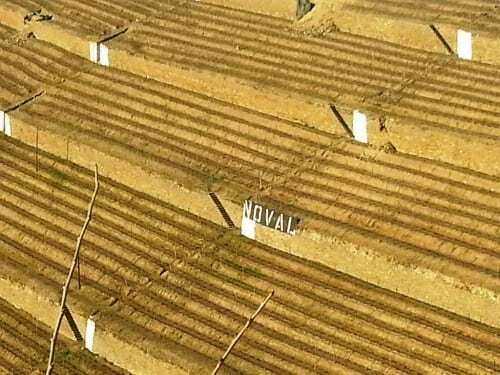 As is well known, a Quinta do Noval declaration cannot be categorised according to the traditional distinction between a full declaration and a single quinta declaration, for the simple reason that all our greatest wines are wines from a single quinta, the great vineyard of Quinta do Noval. Whenever we decide to declare a Quinta do Noval Vintage Port, we are clearly saying that this is a great wine that deserves to bear the Quinta do Noval label. Noval follows its own path in its approach to Vintage Port. If we believe that we have wines of the quality and personality to join the ranks of the Quinta do Noval Ports of previous years, we will bottle it and declare it, even if this means declaring several years in a row, and even if it means, as is often the case, bottling only a few hundred cases of Quinta do Noval Vintage Port, representing a tiny percentage of the total production of the Quinta, in some years less than 3% of our production. summer was very hot and dry. The vines responded well to this hot and dry period thanks to the reserves of water in the soil, and at the end of an August that was cooler than average, the harvest presented itself beautifully. The harvest started on the 2nd of September with our ripest parcels, in glorious hot and sunny weather. However, a set of rains fell on the 13th to the 16th of September. 30% of the harvest had been brought in before these rains. With a favourable longer term weather forecast we stopped the harvest for a week, and then restarted on 24th of September with excellent weather and grapes in very healthy condition, improving every day, which allowed us to harvest our best plots at the right time. In this period, some exceptional ports were made. 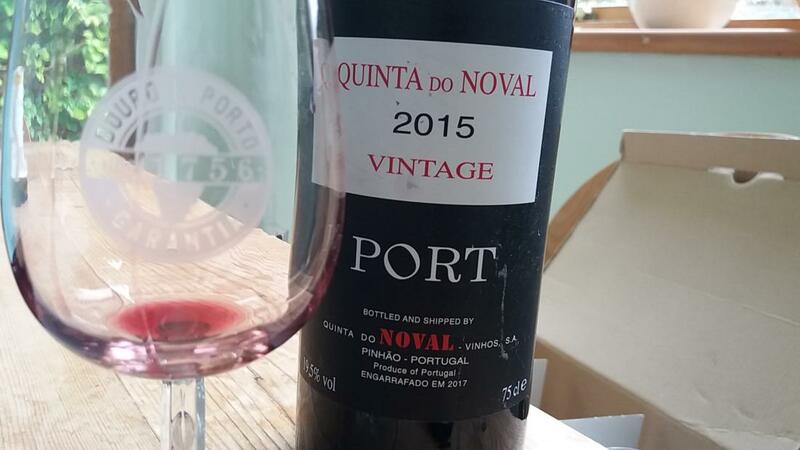 Quinta do Noval Vintage Port 2015 is a blend of Touriga Nacional, Touriga Franca, Tinto Cão, Sousão. The grapes were trodden by foot in lagares to obtain the must, then during fermentation for extraction. Following the addition of spirit, the Port was matured for 18 months in wooden casks in the air-conditioned cellars of the Quinta. 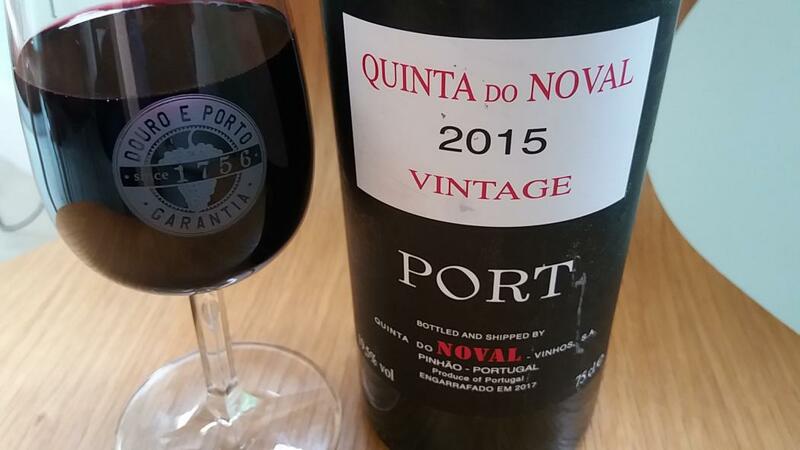 Quinta do Noval Vintage Port 2015 perfectly articulates the power and high quality of this vintage. It is more flamboyant, fuller and darker in hue and fruit profile than its predecessors (2012-2014), yet retains a lovely freshness and persistence. It reveals coal-edged fleshy black cherry, almondy cherry stone (almost a marzipan note on day 3), juicy blackberry, sweet raspberry and heady kirsch, with bitter chocolate nuances. Initially with violets, then pronounced citrus/orange blossom/bergamot, even a sweet cinnamon note – an exoticism which puts me in mind of Fonseca, though it is firmer and drier seeming than this famous Port (which was not declared in 2015). There is a subtle smokiness to the Noval’s ripe but voluminous swathe of sinewy tannins and terrific ‘dry’ minerality to the long, fresh finish. Plenty of poke and class. I really savoured every mouthful of this substantial but very drinkable Vintage Port. Residual sugar: 94 g/l, Alc. 19.5% £312/6 bottles en primeur at Tanners (‘lying abroad’ price).